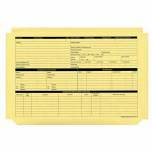 Custom Forms Personnel Wallet Buff (Pack of 50) PWY01 Pack of 1 Personnel wallet provides a file for all the information relating to each individual employee. Wallet is printed on both sides to provide details such as name, address, employment history, salary record. Colour - Yellow. 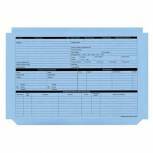 Custom Forms Personnel Wallet Blue (Pack of 50) PWB01 Pack of 1 Custom Forms Personnel Wallet. Provides a file for all the information relating to each individual employee. 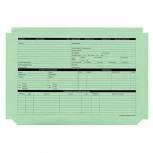 Printed on both sides to provide details such as name, address, employment history, salary record. Colour - Blue. 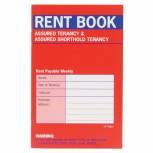 Country Assured Tenancy Rent Book (Pack of 20) C237 Pack of 20 County Rent Book. For assured tenancy and assured short hold tenancy. 16 page rent book with label for tenant's details on the front. 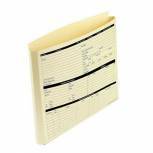 Custom Forms Expanding Personnel Wallet Buff (Pack of 50) PWY02 Pack of 1 Personnel wallet provides a file for all the information relating to each individual employee. Printed on both sides to provide details such as name, address, employment history, salary record. Expandable with a 30mm capacity. 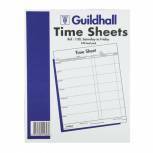 Guildhall Work Time Sheet Saturday - Friday 254x203mm (Pack of 100) 1653 Pack of 1 Guildhall Time Sheets. Pre-printed sheets - Saturday-Friday in pads of 100. Leaf Size 254x203mm. White.